What's Living Under Your Panels? Have Pigeon or Production Problem? Call Us Today. We Have The Solution. 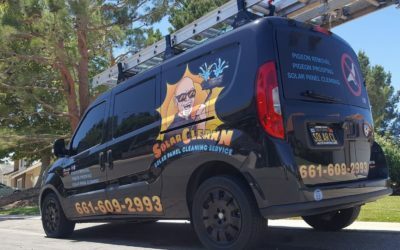 SolarCleann is a Residential Solar Panel Cleaning and Pest Abatement Service. Our goal is to help you protect your investment and Maximize your production. We are locally owned and operated and take great pride in providing nothing less than exceptional customer service. Get in touch and let us know how we can answer your questions and when we can provide superior service. you’ll never have any critters living under your solar system again! We Flush underneath the solar panels removing pigeons, pigeon nests and their toxic pigeon waste that builds up over time (and anything else under your panels that does not belong there). We install our Solarcleann Pigeon Guard (Black PVC Coated Galvanized Welded Wire Mesh) with specialized non impacting fasteners. This ensures you’ll never have any Pigeons and or critters ever living under your solar panels! We perform a 4 Point Solar System Inspection that covers the overall condition and functioning of the solar system. Great for new home buyers! We had solar panels installed by Sun Run a few+years ago. We 1st discovered the sound of the doves in Dec 2017. (We thought it sounded pretty in the morning and we didn’t think anything of it) little did we know that the doves home turned into a pigeons party. We called Sun Run and they told us that it was our responsibility and that we had to pay for the removal. We put it off….clearly not aware of the mess that was made on the side of our home. We immediately called Bird be Gone and asked for a referral for a company to take care of the birds and the nests underneath our solar panels. They referred us to Todd @ Solar Cleann. He came and went up on our roof, took pictures and gave us a quote to eliminate the mess and install a critter guard. He emailed the pictures and we were completely disgusted. Todd @ Solar Cleann came yesterday 7/20/18 at 7am and worked til 4pm non stop. He is an incredibly hard worker with strong ethics all around. We highly recommend Solar Cleann to take care of this sort of problem or simply getting your solar panels cleaned! (which should be done annually) call him today and tell him I sent you! Unbelievable customer service..Can’t find quality like this anywhere else..
Todd does an amazing job cleaning the Solar Panels! We’re happy to come out to your house, talk to you over the phone or respond in writing. We’re here to service you, how you choose to be serviced. Call us Today @ 661-609-2993 or reach us through our Contact Us page and we’ll respond with an accurate quote and timeline for the work. If you need anything else, Use our Contact Us page.